Connecting Saint Mary’s with young black men learning technology in Oakland. 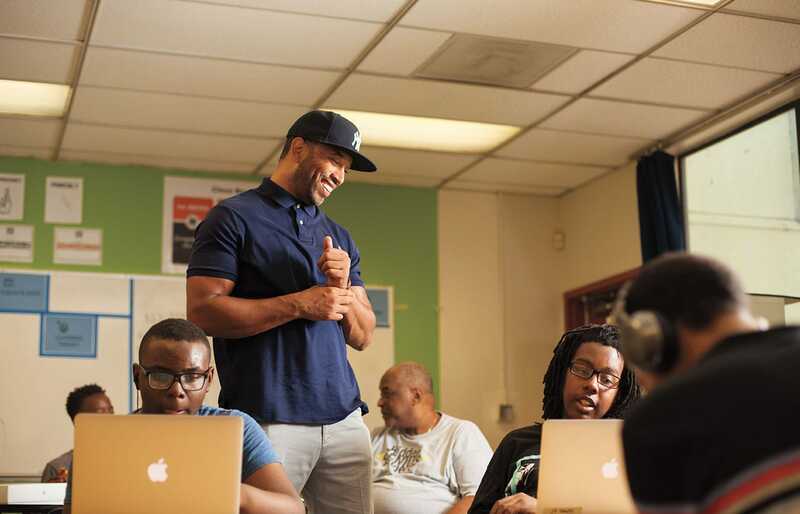 Now Valentine works as the operations director at the Hidden Genius Project, an Oakland nonprofit that connects black male youth with the skills, mentors, and experience they need to work in the technology arena. Students in middle and high school participate in day-long events and workshops, or a 15-month immersion program—all for free. And just like his SMC professors supported him, Valentine is there for the Hidden Geniuses. “We debunk the idea that they don’t belong and that this space is for someone else,” he said, calling the Hidden Genius work very Lasallian, bringing academic opportunities to those who might not have a chance otherwise. Shortly after joining the Hidden Genius Project, Valentine reached out to School of Science Dean Roy Wensley to set up internships for Saint Mary’s students. Three students participated last year, including social media intern Abreal Simmons ’17 and event volunteer Jonathan Dickson ’17.